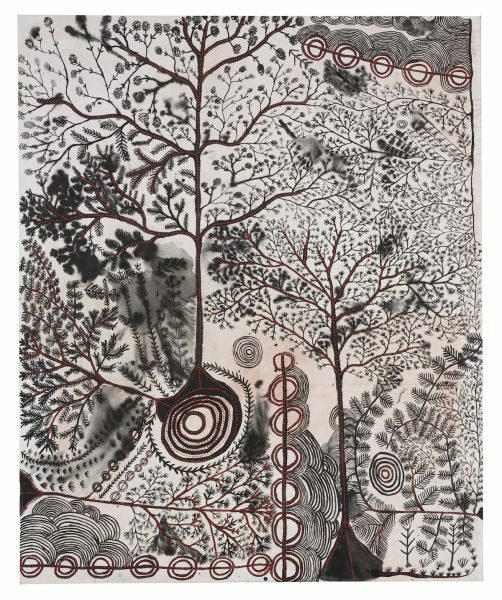 Gunybi Ganambarr with Buyku, etching on aluminium board, 2018, 300 x 300 cm. 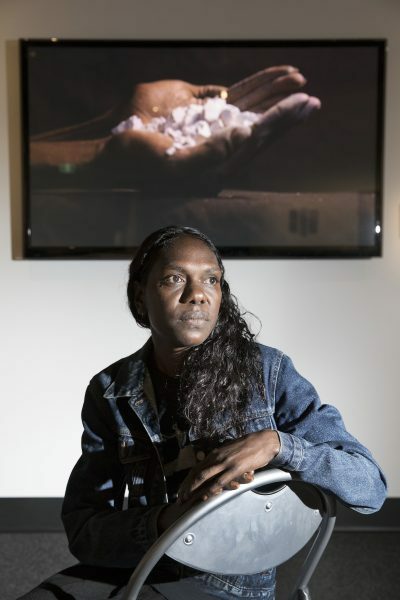 2018 Telstra Art Award Winner, 35th Telstra NATSIAA. Photography: Fiona Morrison. 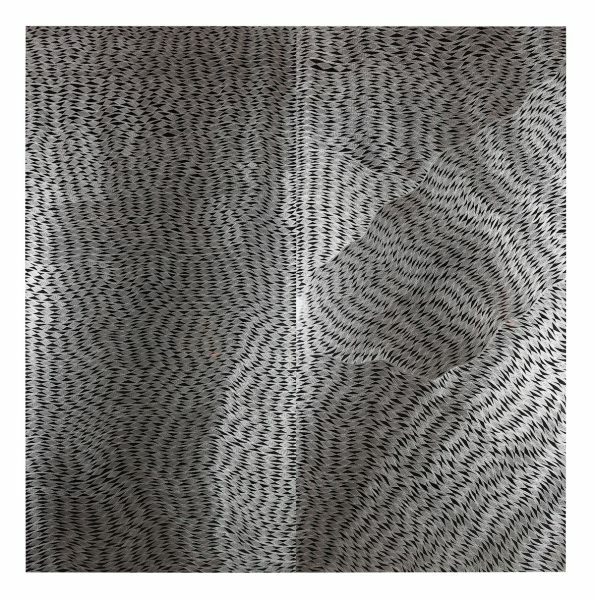 Gunybi Ganambarr, Buyku, etching on aluminium board, 2018, 300 x 300 cm. 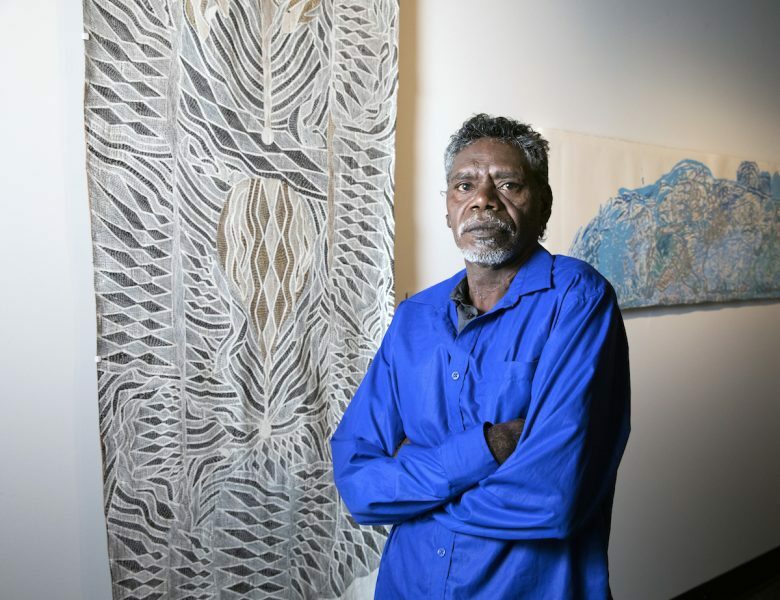 2018 Telstra Art Award Winner, 35th Telstra NATSIAA. Napuwarri Marawili with Baraltja Dugong Yathikpa, natural pigments on Stringybark, 2017, 203 x 78 cm. 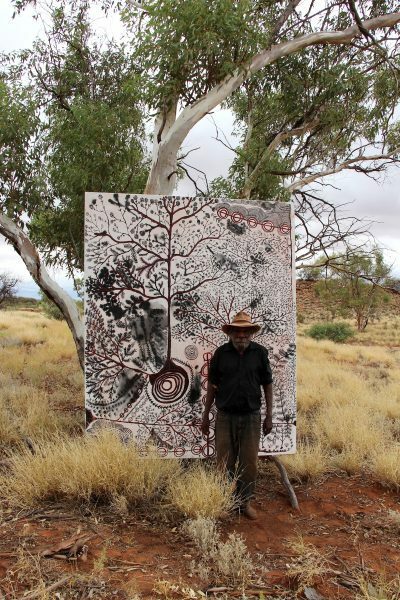 2018 Telstra Bark Painting Award Winner, 35th Telstra NATSIAA. Photography: Fiona Morrison. Napuwarri Marawili, Baraltja Dugong Yathikpa, natural pigments on Stringybark, 2017, 203 x 78 cm. 2018 Telstra Bark Painting Award Winner, 35th Telstra NATSIAA. 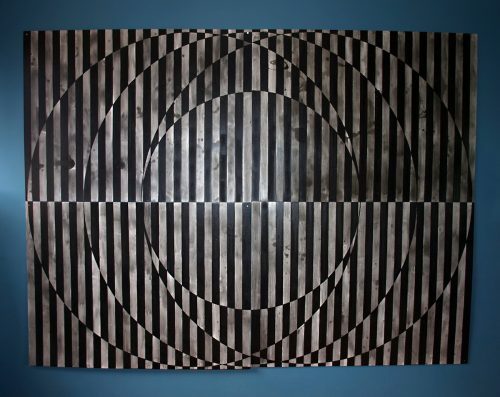 Peter Mungkuri with Ngura (Country), ink and synthetic polymer paint on linen, 2018, 243 x 198 cm. 2018 Telstra General Painting Award Winner, 35th Telstra NATSIAA. Photography: Eric Barney. Courtesy of Iwantja Arts. Peter Mungkuri, Ngura (Country), ink and synthetic polymer paint on linen, 2018, 243 x 198 cm. 2018 Telstra General Painting Award Winner, 35th Telstra NATSIAA. 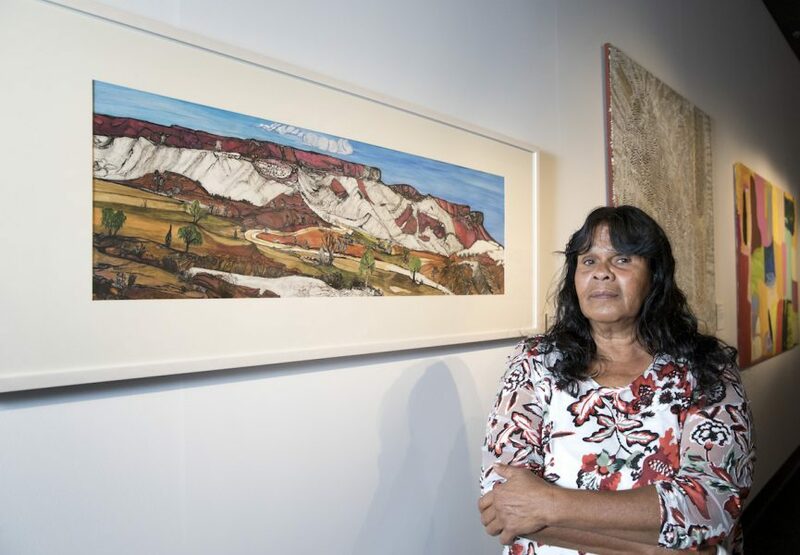 Kathy Inkamala with Mount Gillen, Western MacDonnell Ranges, pigment ink and gouache on Arches 300gsm cold-press paper, 2018, 30 x 100 cm. 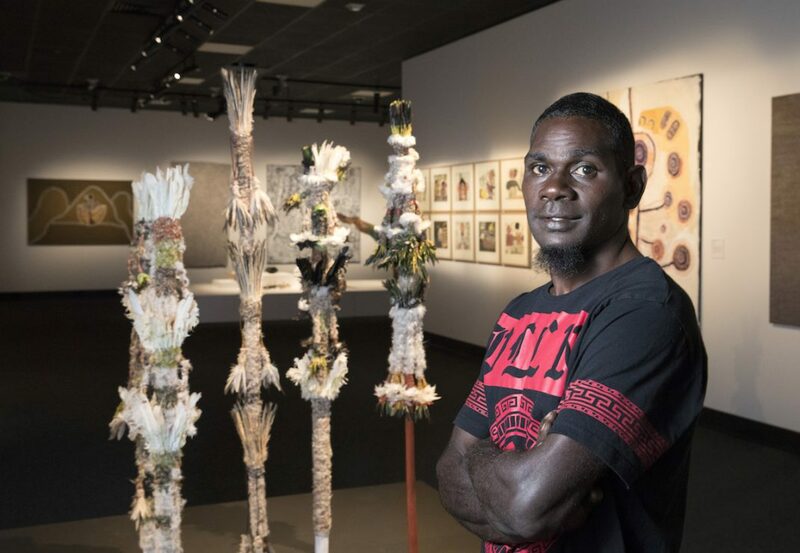 2018 Telstra Work on Paper Award Winner, 35th Telstra NATSIAA. Photography: Fiona Morrison. 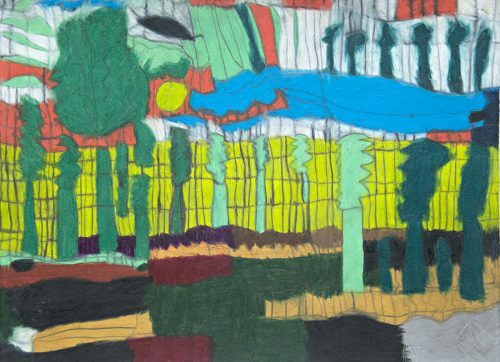 Kathy Inkamala, Mount Gillen, Western MacDonnell Ranges, pigment ink and gouache on Arches 300gsm cold-press paper, 2018, 30 x 100 cm. 2018 Telstra Work on Paper Award Winner, 35th Telstra NATSIAA. Wukun Wanambi with Destiny, natural pigments on Stringybark pole and video, 2018, 280 x 200 x 200 cm (overall). 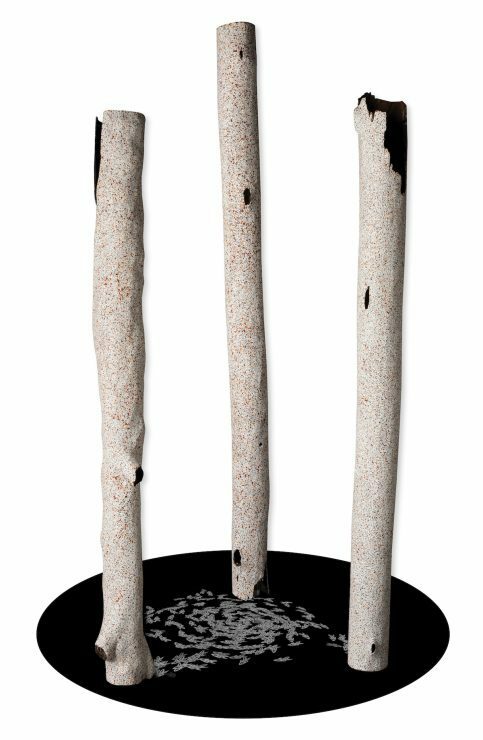 2018 Wandjuk Marika Memorial 3D Award Winner, 35th Telstra NATSIAA. Photography: Fiona Morrison. 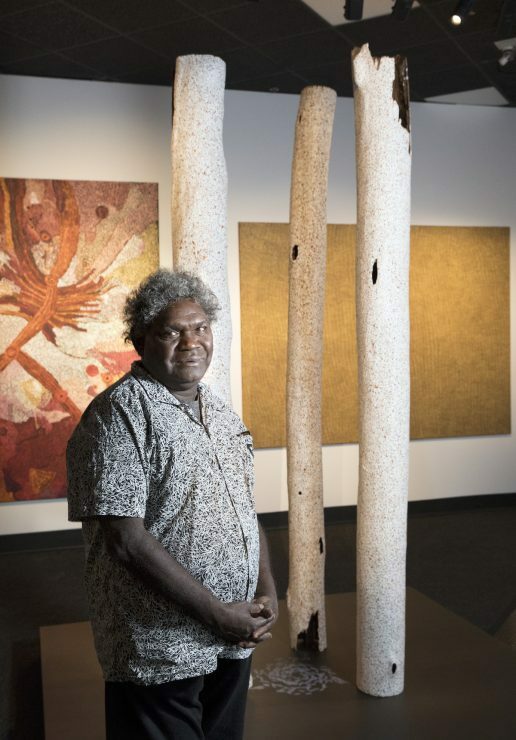 Wukun Wanambi, Destiny, natural pigments on Stringybark pole and video, 2018, 280 x 200 x 200 cm (overall). 2018 Wandjuk Marika Memorial 3D Award Winner, 35th Telstra NATSIAA. Matthew Dhamuliya Gurruwiwi with Banumbirr (Morning Star Poles), natural pigments, feathers, bush string, bush wax and Milkwood. 2018 Telstra Emerging Artist Award Winner, 35th Telstra NATSIAA. Photography: Fiona Morrison. 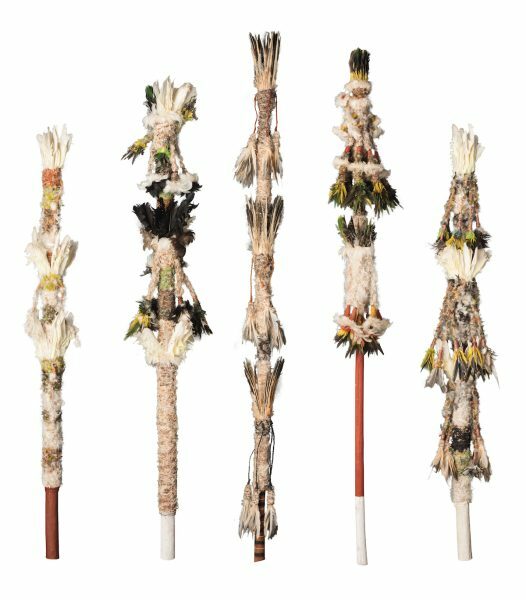 Matthew Dhamuliya Gurruwiwi, Banumbirr (Morning Star Poles), natural pigments, feathers, bush string, bush wax and Milkwood. 2018 Telstra Emerging Artist Award Winner, 35th Telstra NATSIAA. Patrina Liyadurrkitj Mununggurr with Dhunupa’kum nhuna wanda (Straightening your mind), film, 2018, video duration: 1.33 minutes. 2018 Telstra Multimedia Award Winner, 35th Telstra NATSIAA. Photography: Fiona Morrison. Patrina Liyadurrkitj Mununggurr, Dhunupa’kum nhuna wanda (Straightening your mind), film, 2018, video duration: 1.33 minutes. 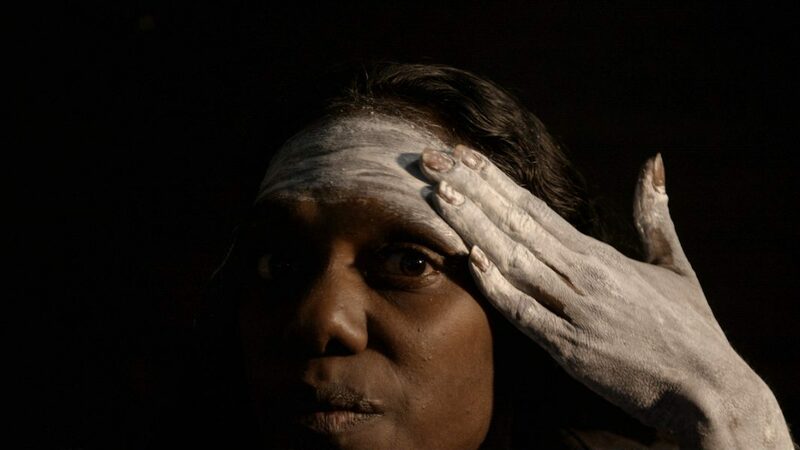 2018 Telstra Multimedia Award Winner, 35th Telstra NATSIAA. Congratulations to Gunybi Ganambarr, who has won the overall prize, the Telstra Art Award, in the 35th Telstra National Aboriginal and Torres Strait Islander Art Awards (NATSIAA). 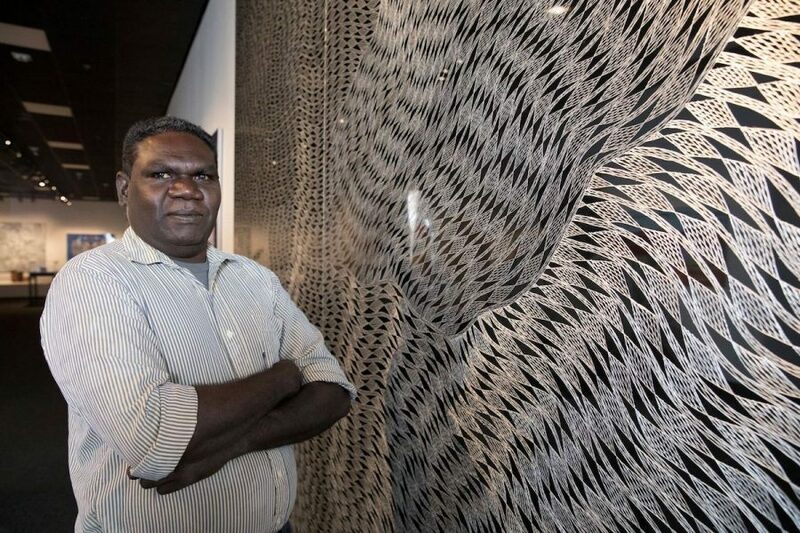 Ganambarr, who is from the remote community of Gangan in East Arnhem Land, Northern Territory, took out the top prize with a large etching on aluminium titled Buyku. This year the Telstra NATSIAA was judged by Kelly Gellatly, director of the Ian Potter Museum of Art at the University of Melbourne; Glenn Iseger-Pilkington, independent curator and art consultant; and Judith Inkamala, artist and senior member of the Hermannsburg Potters. 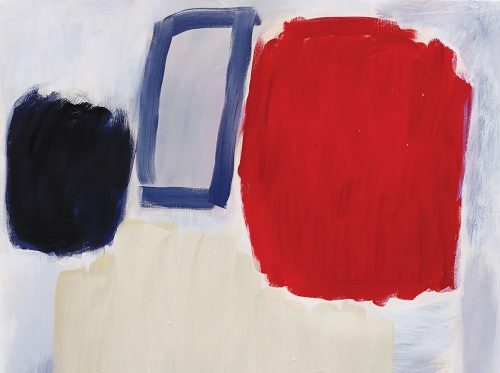 Art Guide Australia’s NATSIAA preview from the July/August print edition offers some insight into the judging process. The NATSIAA prizes are non-acquisitive. Ganambarr was awarded $50,000 and the judges described his winning work as demonstrating an impressive command of material and technique as well as a deep understanding of ceremony and culture. NATSIAA also awards $5,000 prizes in six other categories. Peter Mungkuri, from Indulkana, South Australia, won the Telstra General Painting Award with Ngura (Country); the Telstra Works on Paper Award went to Kathy Ngala Inkamala from Alice Springs, Northern Territory, for her watercolour Mount Gillen, Western MacDonnell Ranges; Napuwarri Marawili, from Yilpara, Northern Territory, won the Telstra Bark Painting Award with his work Baraltja Dugong Yathikpa; Wukun Wanambi, from Yirrkala, Northern Territory, who previously won the bark painting award in 1998, took out the Wandjuk Marika Memorial 3D Award with his sculpture Destiny; the Telstra Multimedia Award went to Patrina Liyadurrkitj Mununggurr, also from Yirrkala, for her film Dhunupa‘kum nhuna wanda (Straightening your mind); and Matthew Dhamuliya Gurruwiwi, from Warruwi, Northern Territory, won the Telstra Emerging Artist Award with his 3D work Banumbirr (Morning Star poles). Works by all of the finalists are on show at MAGNT until 25 November. ART + CLIMATE = CHANGE 2019, an initiative of CLIMARTE, is a festival held across numerous museums, galleries and public spaces in Melbourne and regional Victoria. Bold, obsessive and geometric. These are some of the words used to describe Carey Merten’s paintings. Unafraid to fall, fail or question, Elizabeth Newman finds a rougher, unflinchingly honest edge to her paintings.